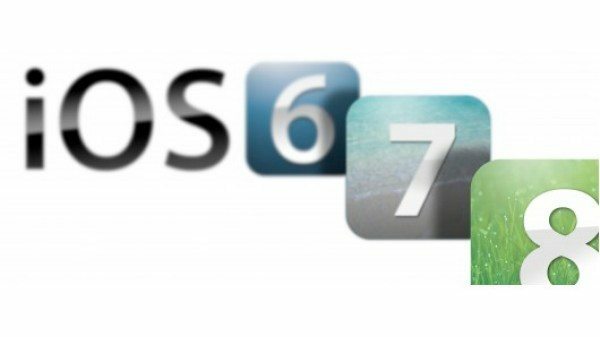 Although Apple’s latest mobile operating system iOS 6 has only been available since September this year, attention is already turning to iOS 7. Customarily a new iOS has appeared with a new iPhone iteration so it’s likely we won’t see iOS 7 until the release of the iPhone 5S or iPhone 6 (name not yet known). We’ve already started to discuss what we’d like to see from iOS 7 and it seems that one of the things under debate is a Live Tiles feature as in Windows 8 and Windows Phone 8. When we posted about a wish list for inclusions on iOS 7 we told of a concept video from The Next Web that showed what iOS could look like with a touch of Microsoft’s Live Tiles mixed in with Android’s widgets. Although this did not look like something ever likely to happen it certainly gave us food for thought and seems to have got others thinking too. You can see that iOS 7 post with video here. There has been talk recently that Apple’s iOS is getting a little stale and so something like Live Tiles would certainly invigorate it though of course there is the not insignificant matter that Microsoft might not be too pleased. However we should remember that Microsoft itself is currently being sued by SurfCast who claim to have had the patent first. Back in September InfoWorld wrote about how both iOS 6 and Android Jelly Bean were “a bit boring” when considering that significant advances over recent years could not be seen as sustainable. So could Live Tiles or a remarkably similar idea, rejuvenate iOS 7? A report on iPhone5NewsBlog discusses this, notes how promising Microsoft’s Live Tiles feature is and wonders if this approach might be something that Apple will adopt for iOS 7 or whether the company will try to come up with something completely different. Windows 8 and Windows Phone 8 and the devices that use them are being heavily promoted by Microsoft at the moment and many people really like the look of Live Tiles. That doesn’t seem to have been reflected in the latest figures of US mobile market share though, with Microsoft’s smartphone platform market share standing at only 3.2%, closely behind RIM in third spot before a massive jump to iOS in second and Android on top. Although the fact that there’s a lot of admiration Microsoft’s Live Tiles doesn’t seem to be recognized as far as sales are concerned yet, it does appear that this is something that many people would like to see on their devices. One of the highlights of Microsoft’s Live Tiles feature is the ability of showing information and the ability to engage on one display. The way that information and features are compartmentalized avoids the user having to switch between screens via apps and icons. As the latest iPhone has stepped up to a 4-inch display there’s more room for this sort of modular user interface. What’s more though is that iPhone5News Blog sees a way that Microsoft’s Live Tiles could be improved and wonders if Apple might also see this possibility. After using a device with Microsoft Live Tiles the writer found that clicking on the majority of tiles still takes you to new screens that are a bit like going back in time. This could be enhanced if the user could stay on one screen with the majority of the action within the Live Tiles. Added to this a ZDNet article has also come up with a wishlist for iOS 7 and also discusses Live Tiles. It’s noted that Apple’s icons are “boring and useless” and notifications “primitive and clumsy” when compared to Live Tiles. The article also points out that the lock screen in iOS 6 is “wasted space” and suggests the use of widgets so that the lock screen could have apps installed into it. This reminds us of course of the concept video that we mentioned earlier with use of both Live Tiles and widgets. Added to this ZDNet also points to the fact that jailbroken iOS devices can be made to run something very much like the live tiles feature so some iPhone users may already be getting a taste for this idea. It does appear that there is scope for Apple to come up with a completely new look for iOS 7 that could use an evolved version of Live Tiles although no doubt Apple would come up with a different name completely and insist it had no connections with the Microsoft feature. It’s a question of how much further on Apple could develop this kind of feature as to whether it could use it without claims of patent infringement. What are your thoughts on iOS 7? Is the Microsoft Live Tiles feature something you’d like to see come to the iPhone? Maybe you can think of something completely groundbreaking that could drastically change the look and feel of iOS and totally refresh Apple’s mobile operating system? Let us know with your comments. I love my iPhone, and I am getting the iPad mini very soon. It’s time for Apple to get in the live/interactive content game regarding iOS. We need widgets, live tiles, or something to innovate the iOS experience. Absolutely! IOS 6 is boringly dull and feels very dated and out of step when compared with Droid and WIndows phones! You think that because it’s been around for a while. Windows phone and android will also stay relatively the same. Just because they don’t make a whole new OS every three years doesn’t make it bad. Once every company gets a brand identity you will realize android looks like it was made by a 3 year old and windows phone is “boring” aswell. No live tiles. I don’t like them. Maybe widgets or dynamic icons. No live tiles. NO TILES, I like the dynamic icons idea, that would be ok, but stay away from the tiles and the windows phone idea, I just don’t like it. Although it would be nice in the next IOS to have a more fully fledged OS option for typing and working on the go, and how about full browser support with flash!! !